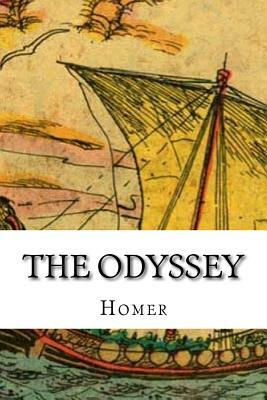 This ancient Greek epic poem centers on the hero Odysseus (or Ulysses, as he was known in Roman myths) and his long journey home following the fall of Troy. In the ten years it takes him to reach Ithaca his family assumes he has died, and his wife Penelope and son Telemachus must deal with a group of unruly suitors, the Mnesteres, who compete for Penelope's hand in marriage. Show Excerpt The Odyssey Book I THE GODS IN COUNCIL--MIVERVA'S VISIT TO ITHACA--THE CHALLENGE FROM TELEMACHUS TO THE SUITORS. Tell me, O Muse, of that ingenious hero who travelled far and wide after he had sacked the famous town of Troy. Many cities did he visit, and many were the nations with whose manners and customs he was acquainted; moreover he suffered much by sea while trying to save his own life and bring his men safely home; but do what he might he could not save his men, for they perished through their own sheer folly in eating the cattle of the Sun-god Hyperion; so the god prevented them from ever reaching home. Tell me, too, about all these things, oh daughter of Jove, from whatsoever source you may know them. So now all who escaped death in battle or by shipwreck had got safely home except Ulysses, and he, though he was longing to return to his wife and country, was detained by the goddess Calypso, who had got him into a large cave and wanted to marry him. But as years went.